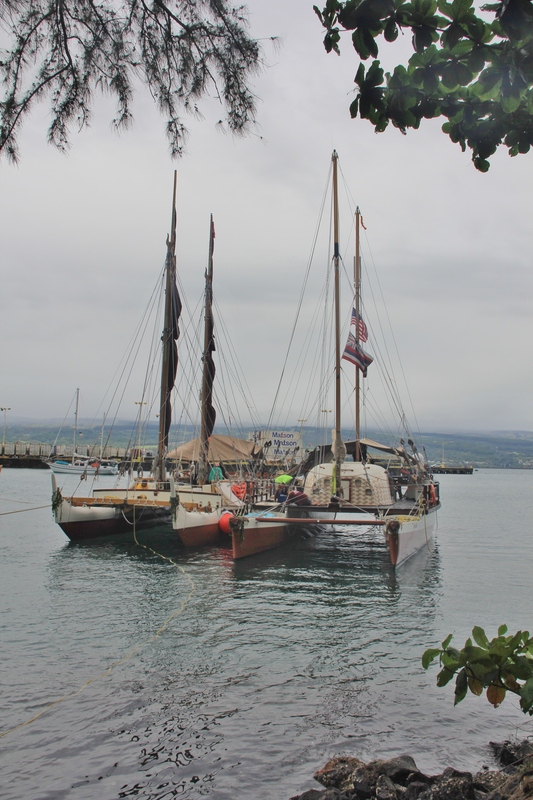 The Hokule’a and Hikianalia are double hulled voyaging canoes of ancient origin. 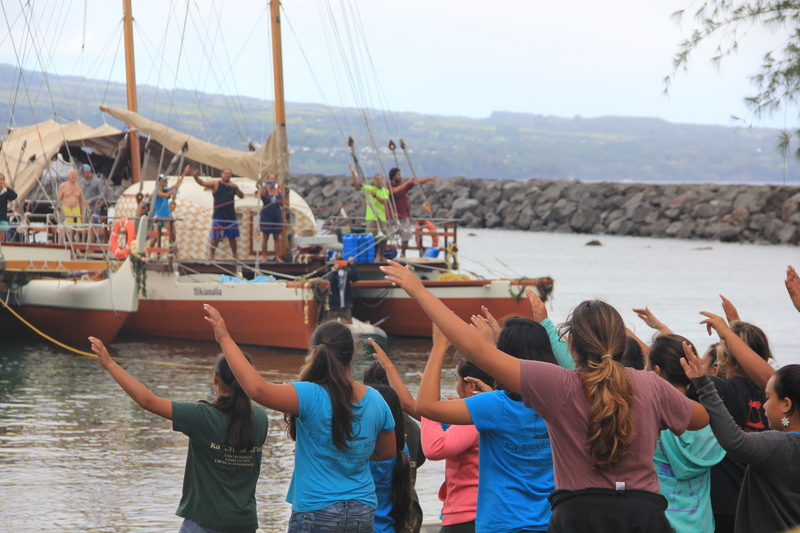 On May 17, 2014, Hokule’a and her sister vessel, Hikianalia embarked from Oahu for a three year circumnavigation of the earth. The journey will cover 47,000 nautical miles with stops at 85 ports in 26 different countries. 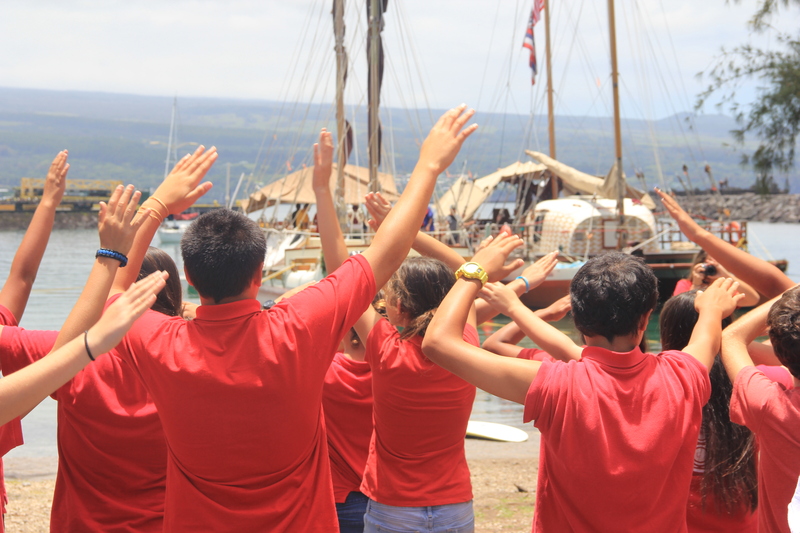 The voyagers will be navigating without modern instruments. Instead they’ll strictly use the stars, ocean current, winds, and birds as mapping points for direction. 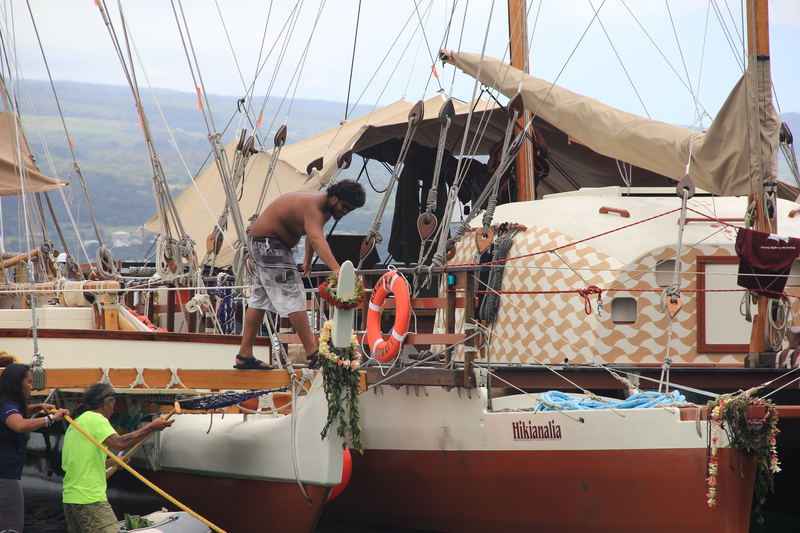 In 1975, no Hawaiian living knew the ancient techniques for blue water voyaging. 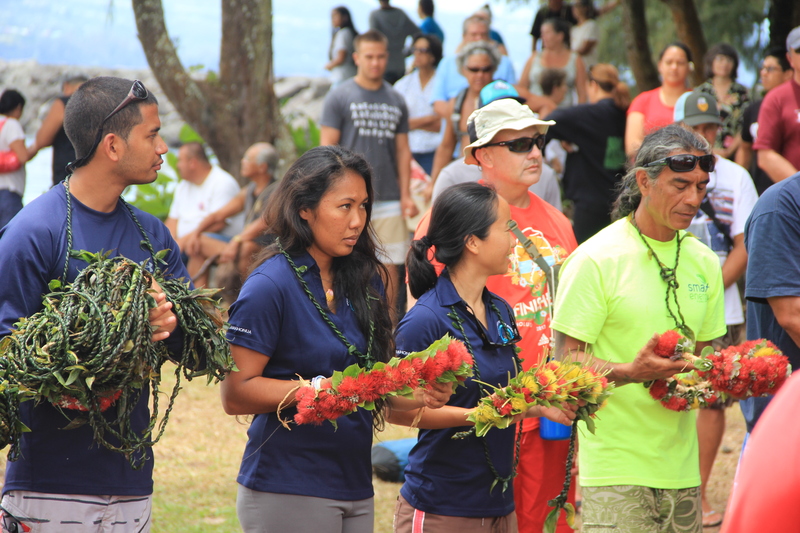 Master Navigator Mau Piailug of Micronesia, one of only a handful of people in the world with knowledge of traditional non-instrument navigation was approached by the Polynesian Voyaging Society for guidance. 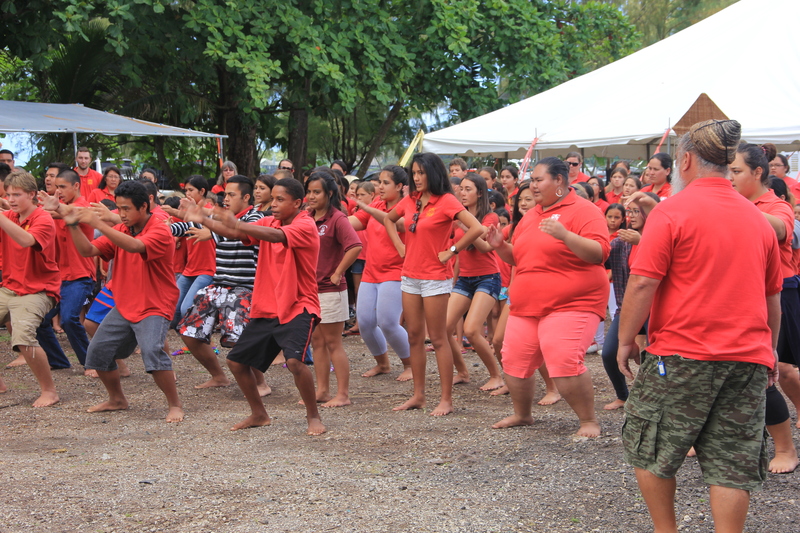 Mau decided that by reaching beyond his own culture, sharing what had been closely guarded knowledge, he could possibly save it from extinction. 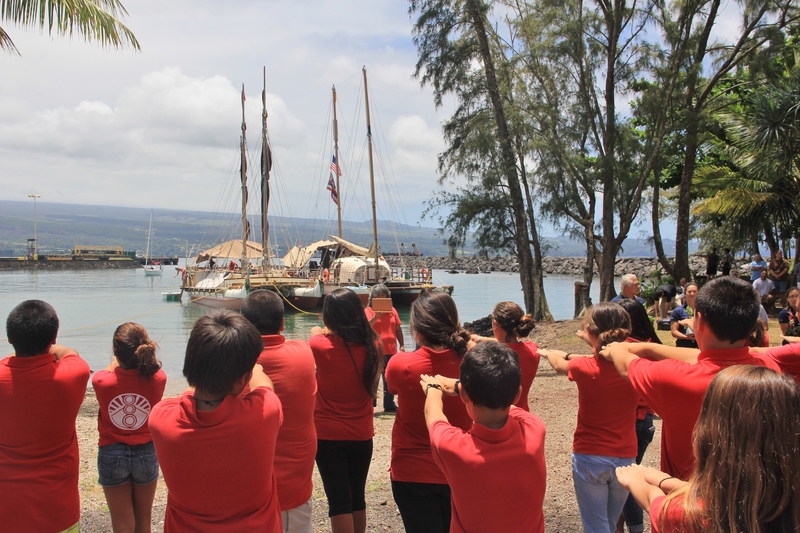 Through his collaboration with the Polynesian Voyaging Society, Mau’s mentorship has helped to spark pride in the Hawaiian and Polynesian culture, leading to a renaissance of voyaging, canoe building, and non-instrument navigation that continues to grow. 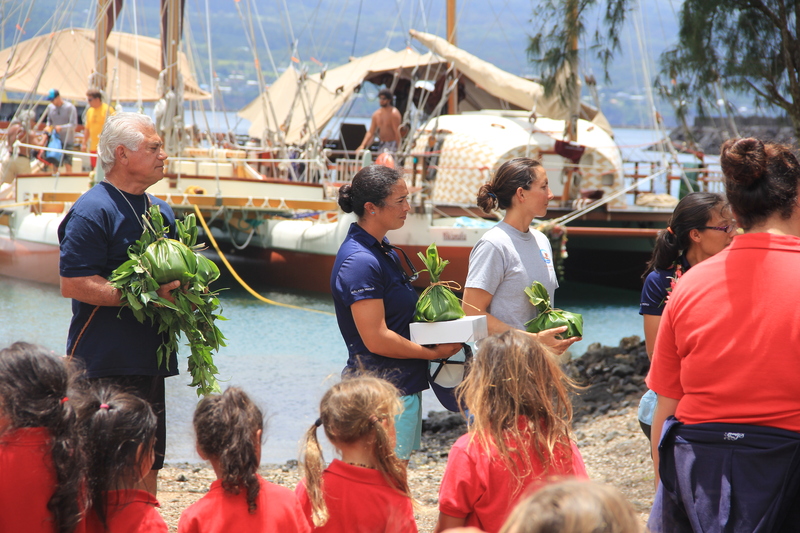 What had begun as a scientific experiment to prove a theory about the settlement of Polynesia, has touched a deep root of cultural pride in the Polynesian people. 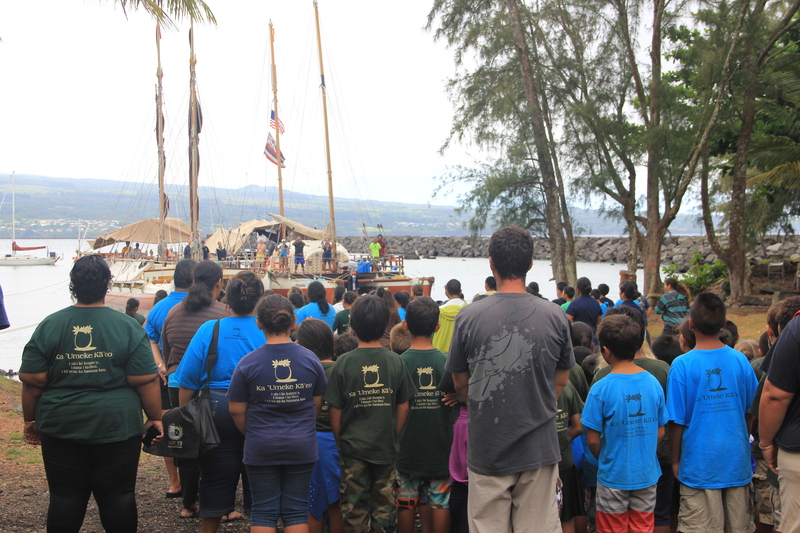 The Hokule’a first launched on March 8, 1975 has since made ten voyages across the Pacific Ocean. 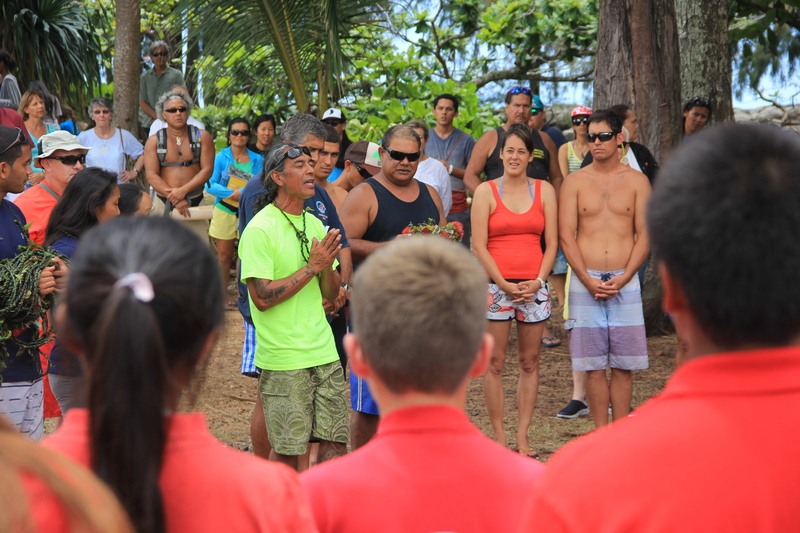 The canoe has become a spiritual symbol of inspiration and connects Hawaii with a past that was almost forgotten. Whether people want to recognize it or not, we are connected to our natural environment….When a child loses the capacity to understand or care about place, a disconnect occurs…We must help students reconnect by giving opportunities that reawaken their observational skills and help them understand the value of nurturing their own spirituality and physical well-being through taking care of their place. 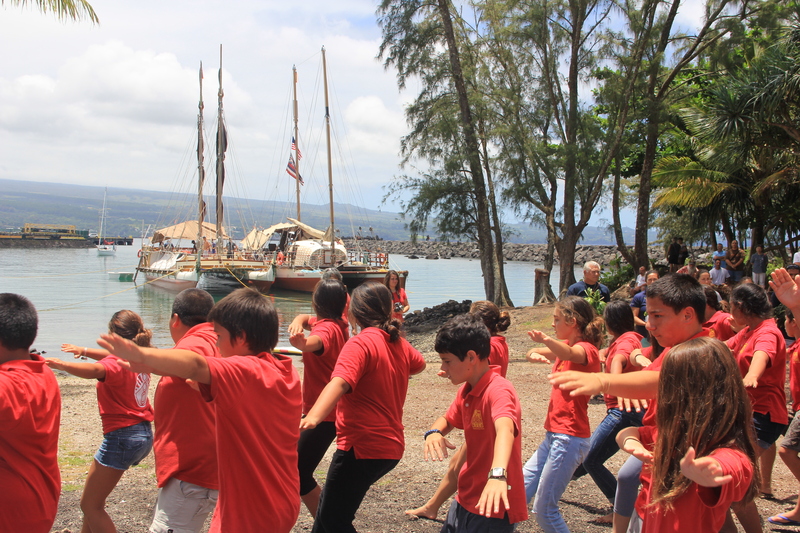 This entry was posted in earth, history, the hungry brain, water and tagged children, Earth, Hawaii, Society, sustainable, water. Bookmark the permalink. Hi! I was wondering where the blue image with the “swirls” and the canoe is from? Thanks! Shauna, that image was from a large banner promoting the beginning of the voyage. Thanks so much for sharing this story – I’ll be following their voyage now with great interest. 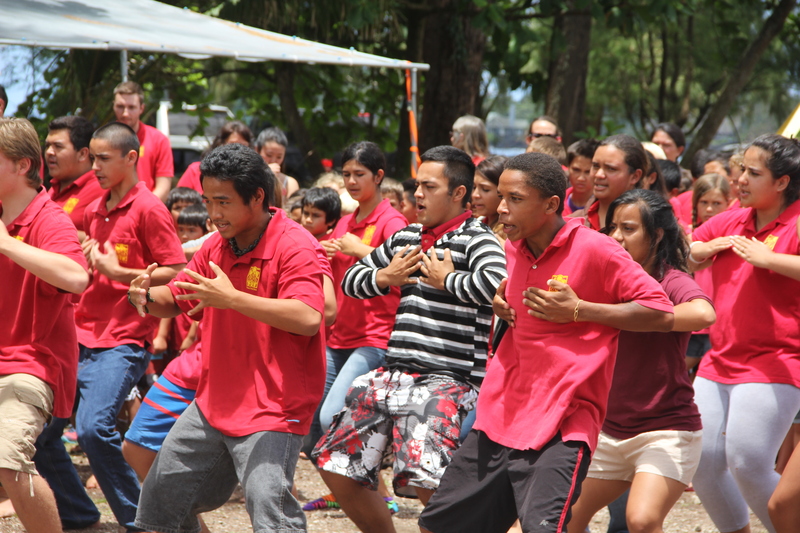 The web site for Polynesian Voyaging Society has some very inspiring info on previous voyages. 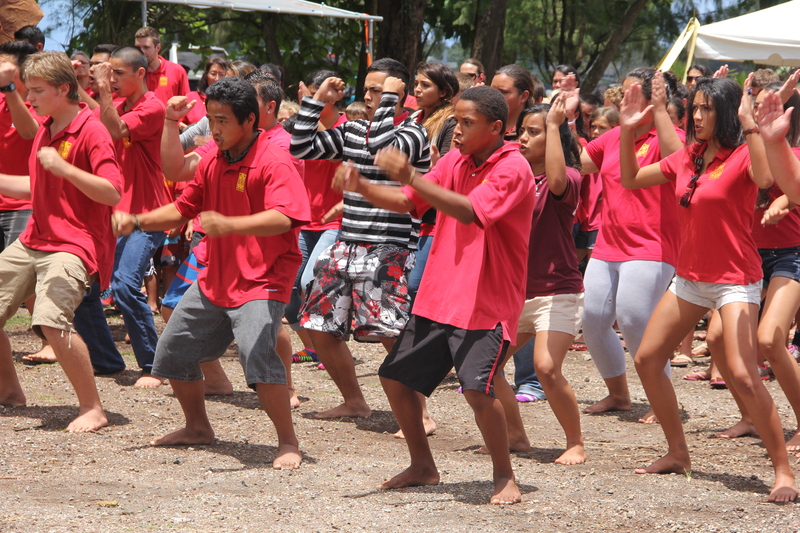 I’ll be updating a post next week on the Hokolea. Happy belated birthday Nil, sail on. 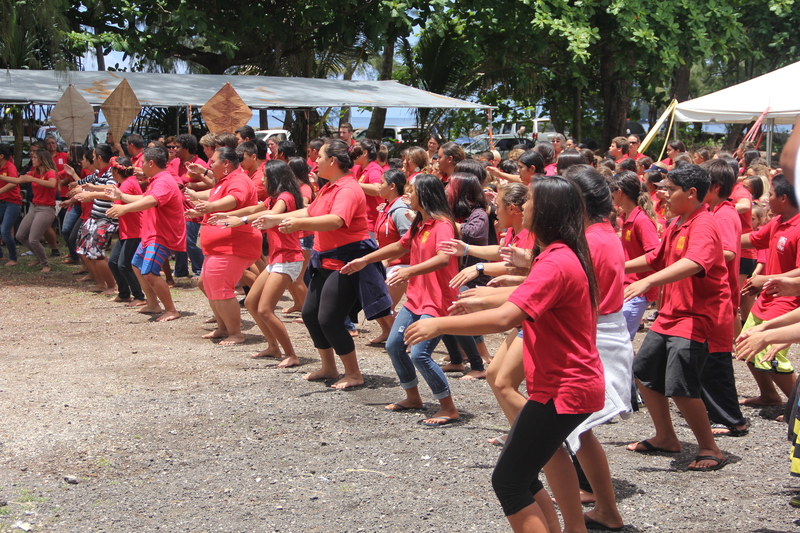 As a native american and kamaaina I appreciate all that many have done restore Hawaii and polynesias traditional ways…mahalo!! !